The BORP Fitness Studio provides group fitness and yoga classes for people with and without disabilities. All classes are adaptable for all ability levels and our instructors are ready and willing to find what works for you. Classes take place at the BORP Fitness Studio at the Ed Roberts Campus, 3075 Adeline St, Suite 150 in Berkeley, CA. BORP received a grant from the Craig H. Neilsen Foundation for the period 2018-2019. As part of this grant we will offer classes at the Fitness Center that are targeted towards people with spinal cord injuries but open to anyone. In order to help make these classes affordable to as many people with Spinal Cord Injuries as possible, we are offering a discounted or free pass that can be used for up to 10 classes. Contact Ariel Smith-iyer for more information: ariel@borp.org or call 510/ 225-7039. View a schedule of upcoming classes. We will offer a menu of new ‘healthy lifestyle’ and fitness classes designed specifically for individuals with SCI, but open to anyone, in our Adaptive Fitness Center at the Ed Roberts Campus. New classes and workshops may include chair yoga, upper body strengthening and conditioning. We’ve offered Latin Dance Move to the Beat!, a fun and high-energy workout taught by AXIS Dance Company member JanpiStar, and are currently offering Brain/Body Fitness, a seated, non-impact class about brain/body circulation and physical habits around alignment and balance. This class promotes circulation through hand/eye coordination, proper posturing, nerve stimulation, deep breathing, stretching, isolations, strength conditioning, QiGong body percussion and basic memorization of movement combinations. This effort is being led by Bonnie Lewkowicz & Cynthia Noonan, both individuals with spinal cord injuries. To sign up to be notified of SCI specific activities email bonnie@borp.org or cynthiapnoonan@gmail.com. If you are a new participant please arrive 5 minutes early to meet with the instructor. Please do not wear any perfumes or scents. Please arrive on time for class. Some classes do not allow late comers past 5 minutes. Classes are subject to change at any time. This class calendar does not reflect any class cancellations or instructor substitutions. For the most up to date information on current classes please use our online registration system (opens in a new window). BORP Classes are offered for $11 per class. We also offer a 10-class pass for a rate of $100. 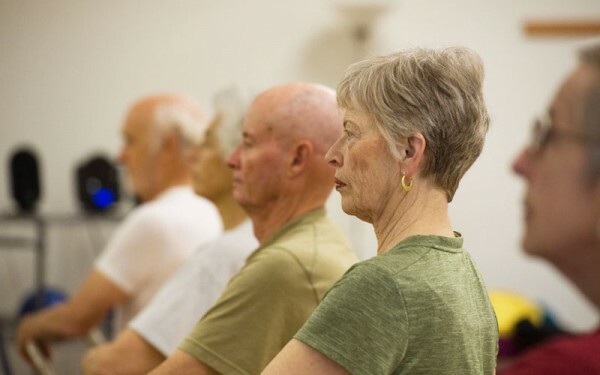 Seniors 55 or older and veterans pay $8 per class or $70 for a 10-class pass. Passes can be used for any class and are valid for 90 days. The BORP Studio is also a space available for community instructors to rent and offer their own classes. The classes listed on the schedule as “private rentals” are open to the public, however the fees for class participation are determined by the individual instructor. Please contact us for more details regarding fees or rentals at (510) 849-4663 x 1319 or email fitness@borp.org. There are several ways to register for classes. Use our online registration system (opens in a new window), where you can create a log in, and either register to reserve your spot and then pay for the class when you come, or pay online. Not all classes have online registration. Drop in to BORP Fitness Studio before or after a class, pay the instructor, and fill out a participant registration form. All classes allow drop ins. 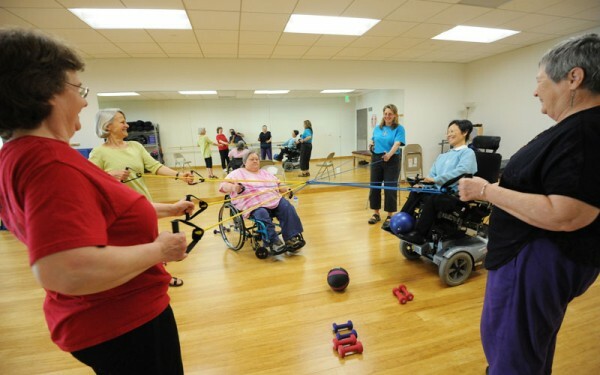 If you are unable to register online or in person on the day of the class due to a physical disability or visual impairment, you may contactus at (510) 849-4663 x 1319 or email fitness@borp.org. Request a participant registration form to be faxed, emailed, or mailed to you. Fill out the form completely. Indicate which class(es) you wish to register for, include a check or a credit card number for payment and then mail the completed form back to BORP Fitness Program, 3075 Adeline St. Suite 200, Berkeley CA, 94703, or fax to “Fitness” at (510) 849-4616 or email the completed form to fitness@borp.org. 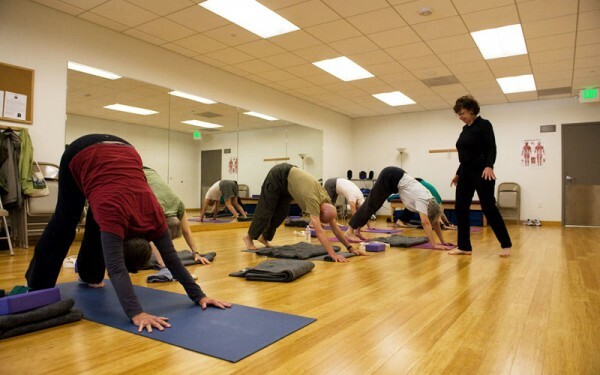 Some classes will require the use of yoga/exercise mats. 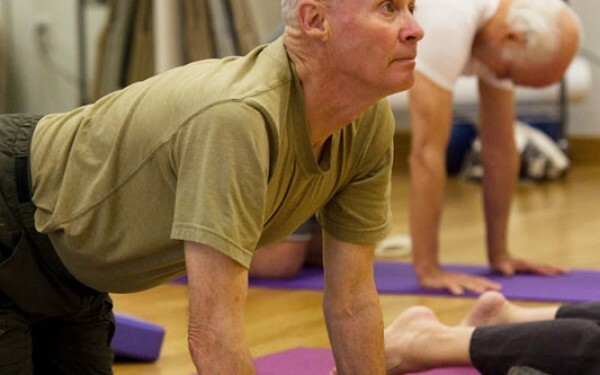 BORP has a limited supply of yoga mats so please bring yours if you have one. Please bring a water bottle. Drinking fountains are located in the ERC lobby. BORP does not sell water in class. There is no charge for assistants or attendants to accompany participants to a class. Please always check our website for the most current schedule of classes. If a class is cancelled there will be a posting on our online registration system. If you registered for the class through our online system and you provided a valid email address, you will be notified via that email if the class is cancelled. We encourage you to contact the instructors directly if you have any questions regarding the specifics of the class (i.e., equipment, ability level, instructor experience, etc). Contact information for instructors is available by clicking on the class names above or by clicking the individual instructor’s name on the online registration system. Thanks and we look forward to seeing you in class!